Clinically proven acne medicine treats and help prevents breakouts. Fortified with an acne fighting bionutrient from the wintergreen leaf for clear, healthy looking skin. 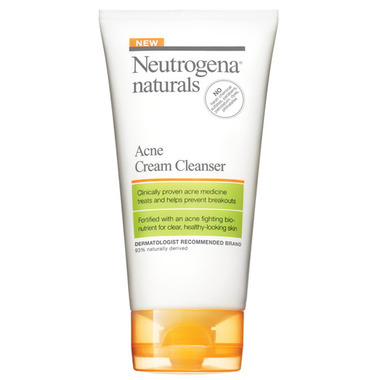 This creamy formula lathers to gently cleanse and thoroughly remove pore-clogging oil, dirt and impurities. Powerful natural salicylic acid powerfully penetrates down into pores to treat breakouts and help prevent new ones from forming. Great face wash! It makes my skin feel tingly and fresh. It isn't too harsh so it doesn't strip my skin of moisture like other products using salicylic acid do. I've been buying this now for a while. I got my first tube free at a road race, I was hooked. This is an awesome daily face wash, makes my face feel tingly and clean after.